Working on the iOS versions of Entanglement, we've come to realize that testing across all the various iOS devices is extremely challenging for our small team due to the time required to do a thorough job. After some discussion, we've decided that the best way to solve this problem is to invite Entanglement enthusiasts to help us in this process. 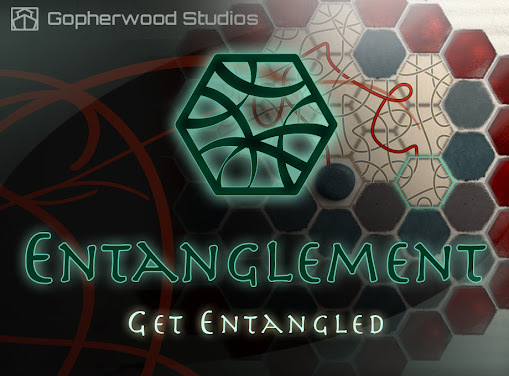 So, if you're someone who'd be interested in helping us test the iOS versions of Entanglement as we roll out patches and updates we'd love to hear from you. iOS device(s) you will be testing on. Please be specific about which version of the iPhone you have. A few sentences explaining why you're interested in helping test. As a tester, in addition to playing the game normally, we'll need you to perform a variety of tasks to ensure the game works in a many different situations. With your help we'll have the iOS versions of the game in better shape than ever. If you're selected as a tester, you'll receive an e-mail in the near future. Thank you for your help ahead of time! UPDATE: We currently have enough testers for iPhone 4G, 3GS, and iPod 4G, and 3G. We are still looking for testers for iPad, iPhone original, 3G, and iPod 2G, and 1G. Thanks again for all the help! UPDATE 2: We now have enough testers. Thank you to everyone who applied. We'll be sending out e-mails in the near future. Any plans for am Android version? So when's the Android version coming out?